Spring is finally here! The sun is shining, the flowers are starting to bloom, and Easter is right around the corner. Celebrate this Easter by adding a new tradition to the big egg hunt. Gifts.com has created a unique alternative to Easter candy to fill the eggs this year. 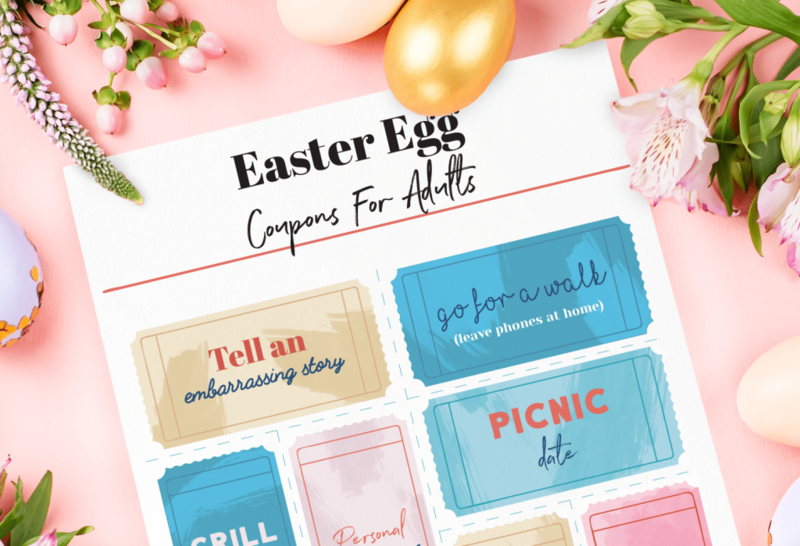 These printable Easter egg coupons include both meaningful and silly activities for all ages like a lunch date with mom and dad or a pass to wear PJs all day. After you print out the pre-made coupons, use the blank templates to create your own prizes. Hoppy hunting! Click the image below to download Easter Egg coupons for kids. Click the image below to download your Easter Egg coupons for adults. 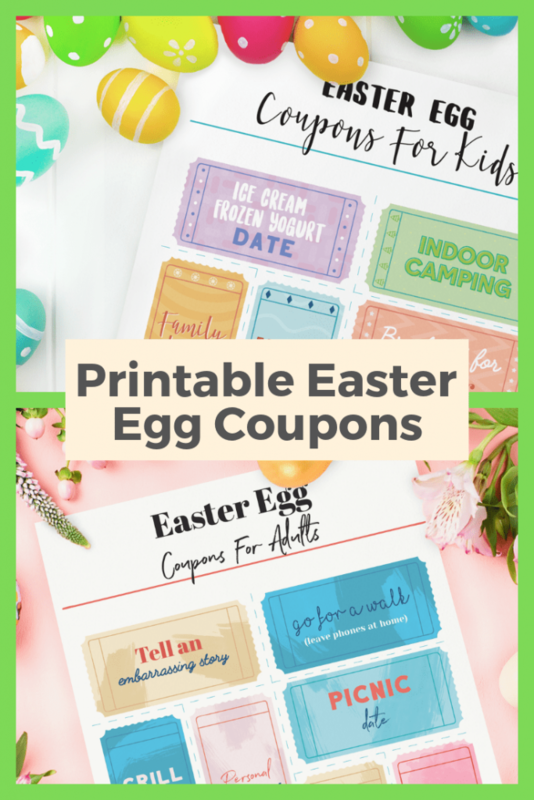 These fun printable Easter egg coupons can be stuffed inside of plastic Easter eggs for kids and kid’s at heart (adults). Fill several eggs with coupons, treats, and trinkets. Hide the eggs inside the house or in the yard for everyone to find. 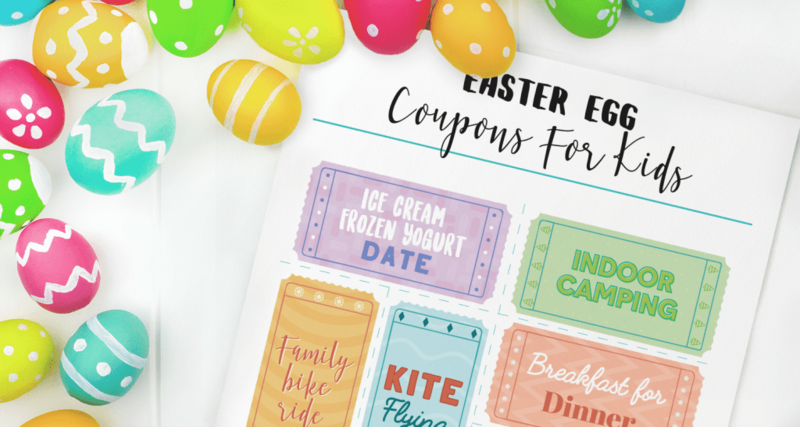 Have fun and enjoy these printable Easter egg coupons. Have you ever used printable Easter egg coupons inside plastic eggs? Previous ArticleHow Does Divorce Affect Your Children?